During School holidays we deliver our popular holiday football courses at numerous venues across Shropshire. 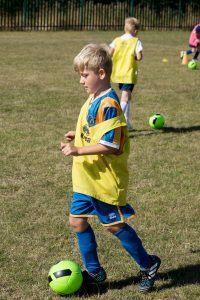 Our Soccer Schools aim to provide a safe and enjoyable environment for children aged 5 to 12 and give them the opportunity to practice their skills, take part in tournaments, make new friends and have fun whilst being coached by our highly skilled team. We also get regular visits from Town players during our soccer schools, giving participants the chance to get up close and personal to the stars who take to the pitch on a Saturday, honing their skills and picking the brains of those who have made it in the professional game. 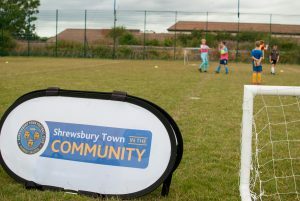 Through the Shrewsbury Town soccer schools, players who excel may get the opportunity to step up to the Advanced Development Centre or Regional Talent Club which are both pathways into elite football that Shrewsbury Town offers.